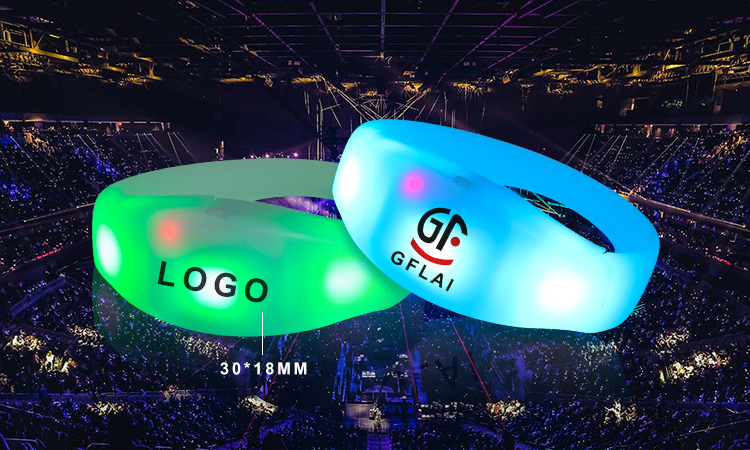 Home/FAQ/How to Brand the Logo on Light Up Wristband? 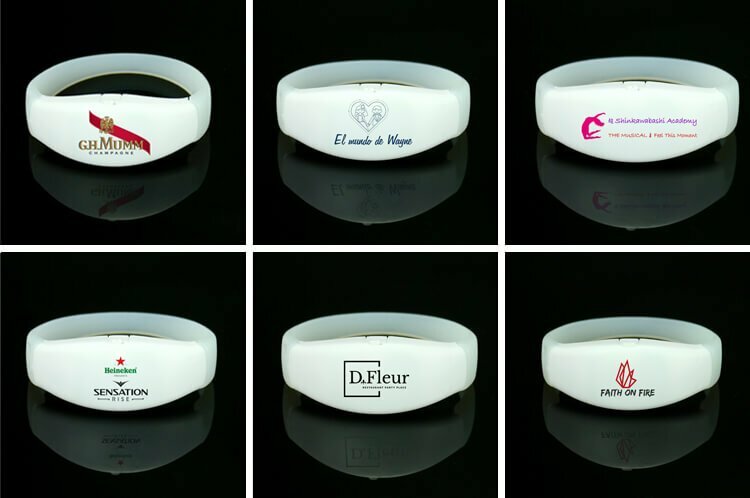 How to Brand the Logo on Light Up Wristband? Question: Can I brand my logo on the Light Up Wristband? Question:What would the cost be if brand logo on the Light Up Wristband? Answer: That will depends on the logo color quantity. Can send us the logo artwork to value the cost accordingly. Question: What would be the process to print logo on the Light Up Wristband? Answer: 1. Send us the logo artwork in Vector file (AI or PDF) to value the cost and show you a mock up. 2. After order confirmed, the first demo image will be afforded in a week, after get your approval ,we will start mass printing on the LED bracelets. Question:Can you show me some examples of Light Up Wristband with logo on? Answer: Sure, here they are. Click here check more details about the Light Up Wristband. Fllow us at Facebook for the lasted info. about the party favor LED products.